Motoring magazine - by the Nuffield Organization (1960s). Homepage. This page: A magazine produced for owners of Nuffield Organization motor-cars in the early 1960s. The array of motoring-related magazines churned out by BMC and the organisations that formed it, never ceases to amaze me. One such title is News Exchange which already features at OldClassicCar, and like "Motoring" was produced in-house by the Nuffield Organization. In addition to being a "Car owner's journal of the Nuffield Organization", Motoring is referred to as also being the "official organ of the Riley Motor Club". Other examples of BMC-related publications may be found listed on the main car magazine page, in addition to titles from other car manufacturers, and independent publishers. In front of me I have eight random copies dating to the early 1960s. One (May 1962) features a Farina-based Riley, the 4/72 (shown below), and two the Morris 1100 (December 1962 and November 1963). 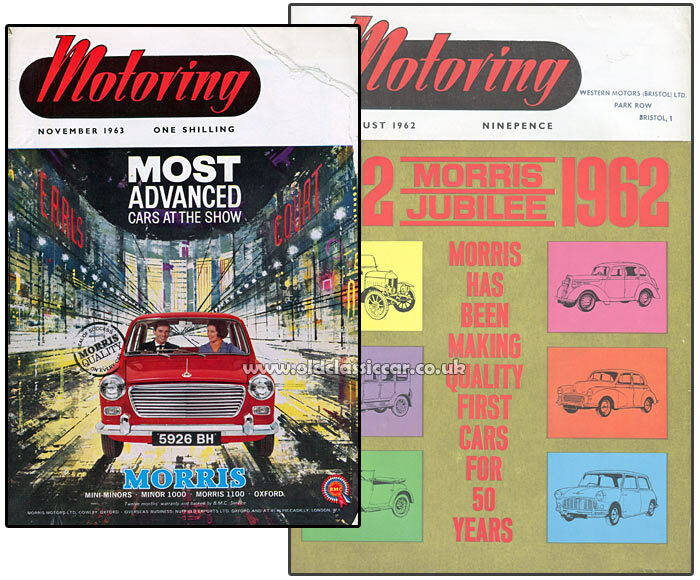 August 1962 celebrates fifty years of Morris Motors on its cover and within, while the remaining four all feature the Farina-designed Morris Oxford (October 1960, April 1963, August 1963, and August 1965). 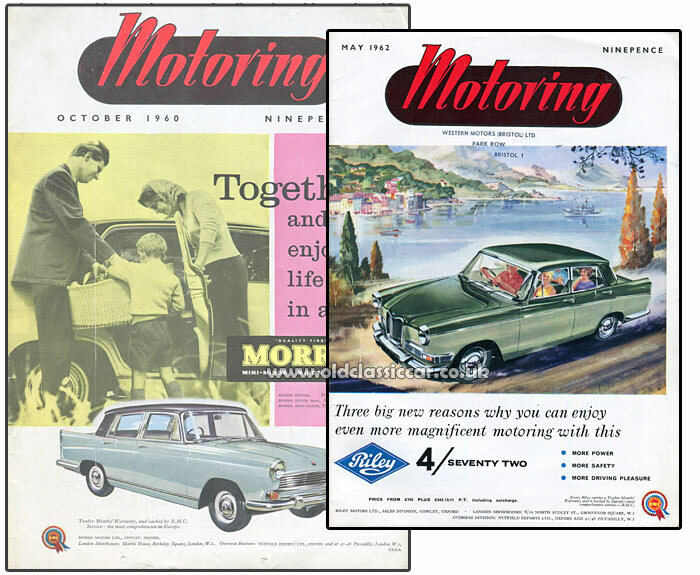 Two copies, featuring the Riley and the Morris celebration, also have a garage's stamp on their covers - for Western Motors (Bristol) Limited, Park Row, Bristol, which is presumably where these issues of the magazine - and quite possibly the others too - hailed from originally. Early copies are priced at Ninepence, while those from 1963 onwards are priced at One Shilling. Jubilee celebrations for Morris in 1962. The cover for August '62 features some of the car highlights of Morris Motor's extensive history, including the "bullnose" Morris Cowley - in saloon and tourer guises - the "100 Pound" Minor, and Issigonis' legendary Mini and Minor. The first 24 pages of the magazine are primarily given over to suppliers that Nuffields used at the time, congratulating the company on its half-century. Component suppliers such as Triplex (glass), Duckhams (oil), Pressed Steel (coachwork), and John Bull (rubber products) all feature, as do James Motorcycles Limited, who by that time were supplying the motor industry with machined components it would seem. Many dealers in Morris cars also wade in with their congratulatory comments. As with all these magazines, the content is made up of many parts, from readers' letters, to advertisements, mixed in with various articles to educate and amuse the reader. 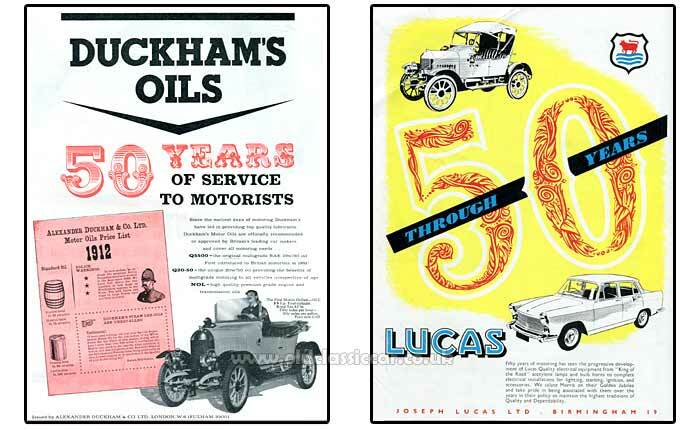 One of the more interesting features in this issue is that penned by Jack Daniels, relating the development story of what went on to become the Morris Minor, but in the development phase was known by the design team as "Mosquito". Early designs for a new small car were based around the idea of accommodating two adults and two children, powered by a new two-cylinder two-stroke engine of 600cc or thereabouts. Part way through the design phase, the decision was made to both abandon the two-stroke idea, and also increase the size of the car somewhat, in order that four full-sized humans could be squeezed within its cabin. While an 8hp engine, either in sidevalve or overhead valve configuration, would cope with the role, it was hoped that a brand new flat-four engine could be developed, to be made in both 800cc and 1100cc versions. The "boxer" engine approach appealed to the design team as it helped maintain a very low centre-of-gravity, one of the key aims of the project which, in addition to the use of rack and pinion steering, and independent front suspension, would bless the car with class-leading handling attributes. A four speed gearbox, with column change, was also envisaged at these early stages of design, in the post-war years. At a late stage in the project, a "go no go" decision for the new car had to be made, and surprisingly "no go" was the preferred option, the plan being to shelve the new proposal indefinitely. At the same time, the green light was given for the Series E to be upgraded with the torsion bar front suspension arrangements originally penned for the new car. As this much revised Series E was being readied for production, external factors led to the management team re-considering their earlier decision, the result being that plans for the new car were back on the agenda, and the uprated Series E was quietly forgotten about. Not that the E was entirely put out to grass, as its 8hp sidevalve motor was chosen as the powerplant for its replacement. The switch to the E's sv unit was incorporated with few issues. More alarming was the decision to widen the car by four inches, after all the body tooling had already been produced. Roof and floor dies for example had to be re-worked, as was the bonnet which bore witness to the change right throughout the Minor's long production life. The photograph below shows the Mosquito during the developmental phase, prior to the widening process that resulted in the familiar Minor shape. Although a real headache for anyone involved in setting up production of the Minor, the widening of the body and resulting improvement in interior accommodation, and in overall appearance, no doubt helped it enjoy a successful production run that saw evolution, rather than revolution, applied to the basic Minor formula to keep it competitive. Elsewhere, in the world of Nuffield. A pull-out supplement tells the story of William Morris and the car company he founded, illustrated by images of the keynote models that came and went during that fifty years. Given that the magazine also acted as a mouthpiece for the Riley Motor Club, a couple of pages are given over to club news and events, along with a sprinkling of technical tips and advice. Other issues of Motoring magazine are, understandably, less Morris-centric than is the jubilee edition. "Let the critics scoff about a different radiator and variations in interior trim making absolutely no difference ... 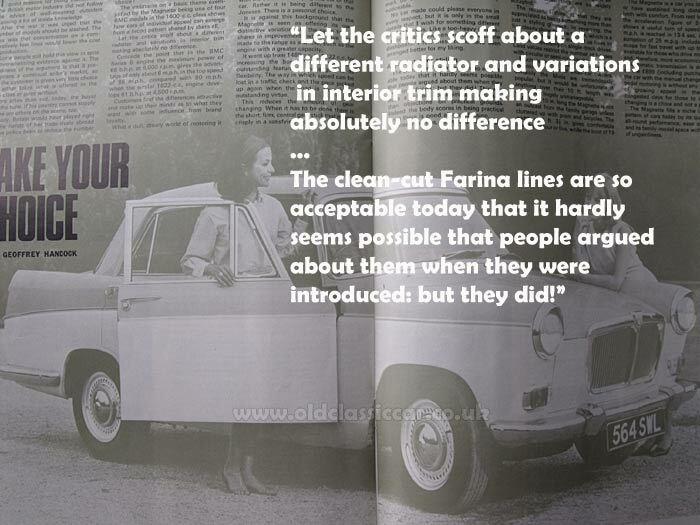 The clean-cut Farina lines are so acceptable today that it hardly seems possible that people argued about them when they were introduced: but they did! This was more a subject for animated discussion than objections on practical grounds. Indeed the body scores in being practical since there is good all-round vision." "Those rear fins, restrained yet definite, were, perhaps, the most hotly debated feature of the styling. How strange it all seems now when they are so widely accepted." "The reason, I think, is that they are appreciated as being something more than just a styling gimmick. In reversing, the fins clearly show the line to take, which is a valuable feature since many of us have to do a lot of reversing on single-track drives. Land values restrict the number of houses with circular or semi-circular drives." Evidently the company was still smarting, and/or felt like they had to justify the styling and origins of the Farina Magnette, several years into its production. True, MG saloons of the late 1950s and 1960s did receive flack from many diehard MG enthusiasts, who bemoaned the badge-engineering and sharing of componentry that was in full swing at BMC by this time. 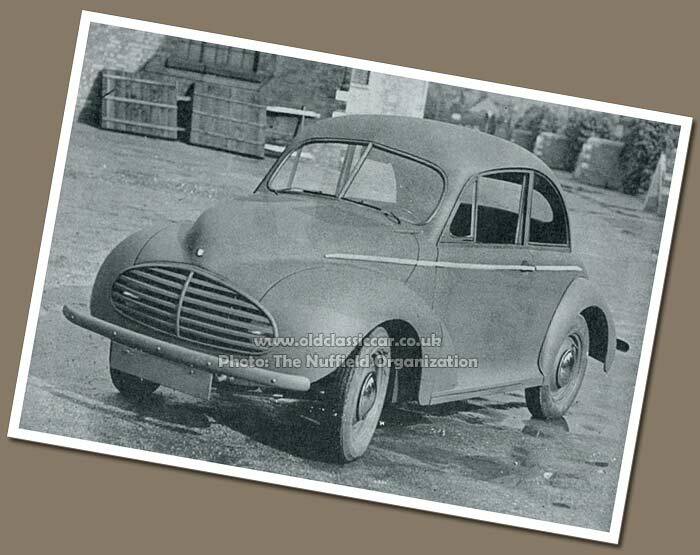 Yet some of the earliest MGs were based around Morris saloon-car running gear, albeit with home-grown and markedly different coachwork from that of the cars from which the running gear was sourced. If cars from the Austin/BMC/Nuffield stable are of particular interest, please take a look at the pages dedicated to other factory-produced magazines of the era, links to which may be found at the following location: Car magazines section at OldClassicCar.